MAS Real Estate Inc (“MAS”), a commercial property investor, developer and operator listed on the main board of the Johannesburg Stock Exchange (“JSE”) and the Euro-MTF market of the Luxembourg Stock Exchange (“LuxSE”), today reported solid results for the year ended 30 June 2018. The income-generating portfolio performed very well during the reporting period, with net rental income increasing by 35% and operating income growing by 90% year-on-year. MAS declared a cumulative annual distribution growth of 30% to 7.61 euro cents per share for 2018 as a result of the increase in distributable earnings and strong pipeline of investments and developments. 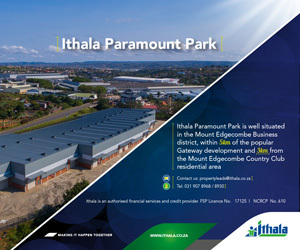 “The growth in distributable earnings per share was driven by the strong performance and accretive acquisitions of investment property, completion of assets in the development pipeline, investment in PKM Developments as well as distributions received from the investment in the REIT portfolio over the reporting period. “We remain focussed on sweating our income producing portfolio through continuous asset management activity as well as reconfiguring and extending some of our CEE retail assets to increase the fashion and leisure offerings to consolidate their regionally dominant positions as well as enhance the overall performance of our portfolio,” commented Morné Wilken, CEO of MAS. During the reporting period, MAS successfully acquired Uberior House in Edinburgh, Scotland in May 2018 for a consideration of €80.1 million. Uberior House comprises grade A offices, prominently positioned in the heart of Edinburgh’s Exchange financial district and is leased to Bank of Scotland on several leases that expire in 2025. After year-end, the group completed the acquisition of the Militari Shopping Centre in Bucharest, Romania and the Braunschweig properties in Germany. The acquisition of the Militari Shopping Centre, in conjunction with Prime Kapital, was completed in July 2018 for a purchase price of €95.0 million, while the Braunschweig properties were acquired for €25.0 million. “The transactions are testimony of our ability to secure high quality acquisitions that complement our current income-generating portfolio and offer unique opportunities to grow the rental income through active asset management, supporting our strategic focus of delivering quality and growing distributions on a sustainable basis over time,” said Wilken. At year-end, the group held €147.8 million in cash, excluding the cash held in PKM Developments. In addition MAS had €242.7 million of third-party debt finance at a weighted average cost of 2.69%, resulting in a group loan to value of 10.0%. “Our debt profile is conservative, with 82% of our debt being fixed. Our strong balance sheet offers good headroom for growth with sufficient capital to meet our obligations, as well as a healthy development and acquisition pipeline. We remain focussed on developing and acquiring dominant assets in strong locations within CEE as well as undertaking opportunistic developments and investments in Western Europe,” said Wilken. The Company is committed to distributing quality earnings to shareholders on a sustainable basis and does not intend to subsidise the 2019 distribution from reserves. Accordingly, the directors consider that a distribution growth target of 15% for the 2019 financial year is appropriate. “In 2016 we embarked on the process of restructuring the MAS balance sheet from a capital growth strategy to a portfolio with a focus on growing income. Investment discipline remains a priority and we are adamant to only pursue quality developments and acquisitions with value-adding potential and strong long-term growth prospects. We continue to pursue profitable growth through exploiting further acquisition and development opportunities in our markets as well as optimising our balance sheet,” concluded Wilken.